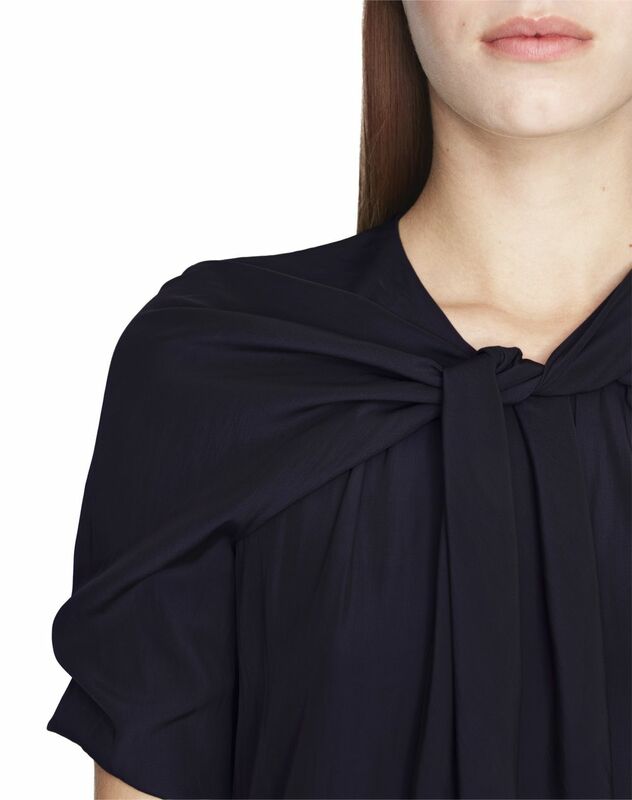 Midnight blue satin blouse, short asymmetrical draped sleeves, round neck, asymmetrical collar with scarf effect inset, and teardrop-shaped button closure on the back. 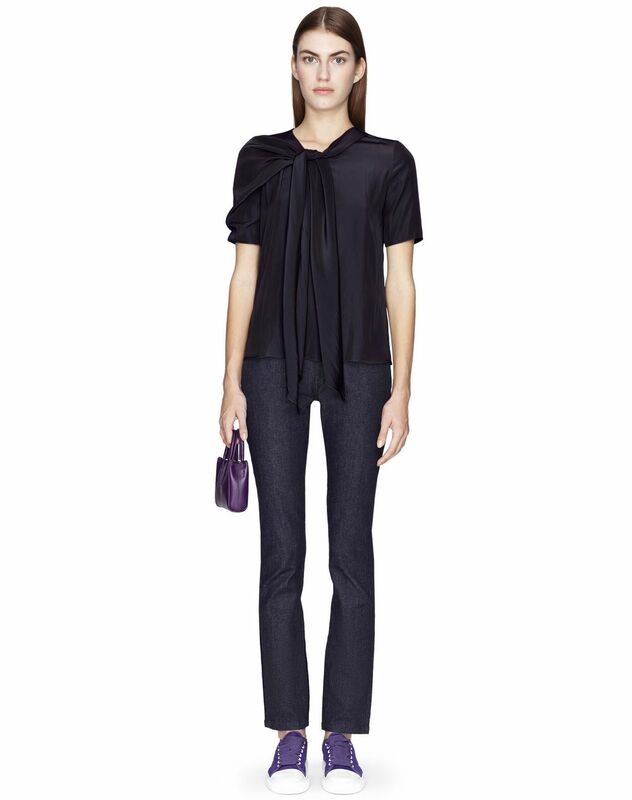 This midnight blue satin blouse stands out for its deep, luminous color and asymmetrical design, a Lanvin signature. 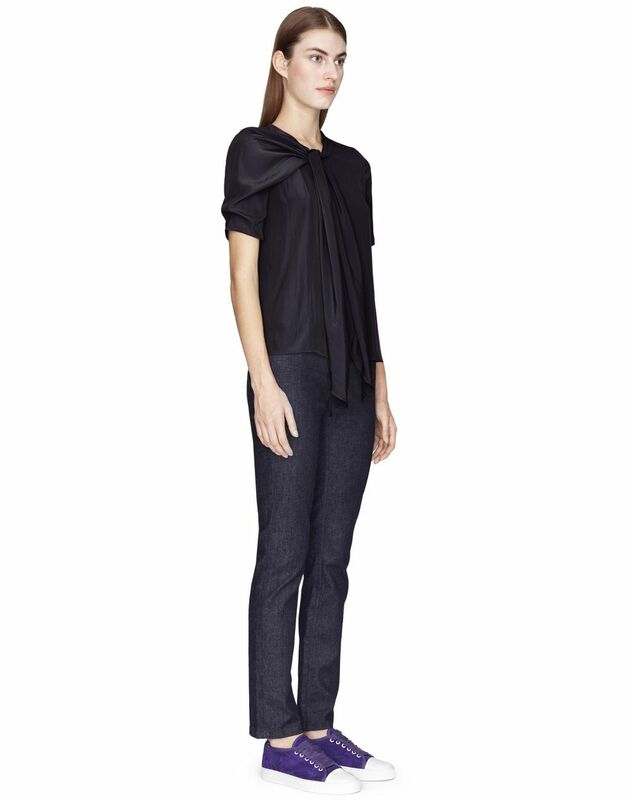 Draping embellishes the shoulder and extends into an elegant scarf that can be tied simply, or in an ascot knot. 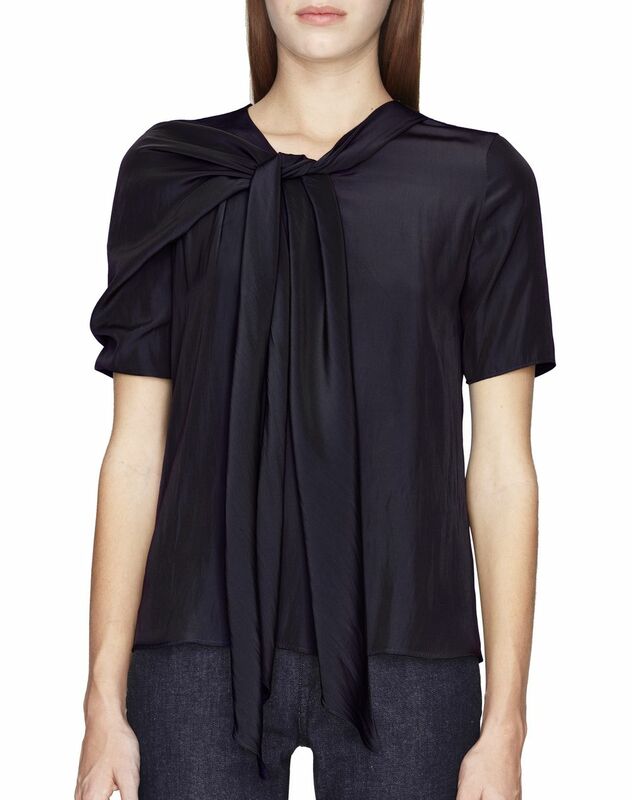 Flowing and lightweight, this blouse is perfect for everyday wear. Main material: 100% polyester weave. 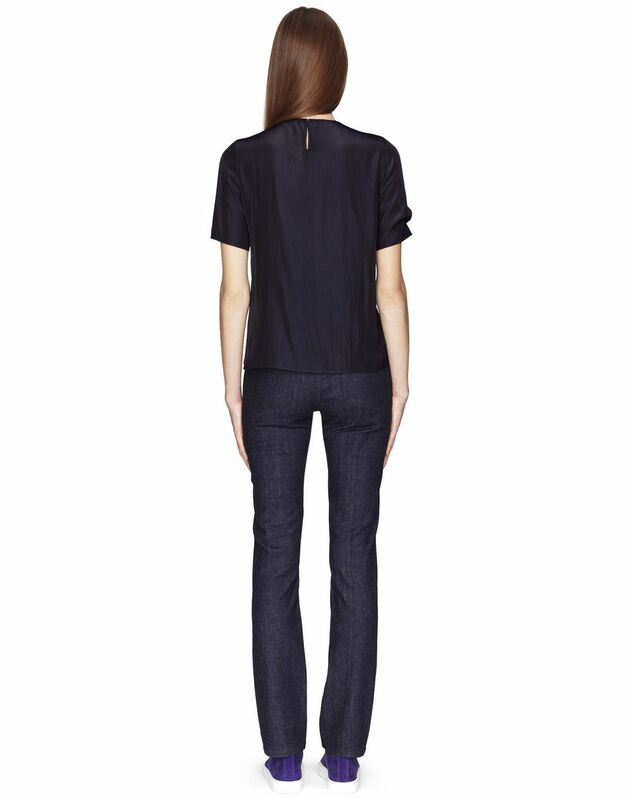 Model's measurements: Height: 5’ 10” Chest: 33” Waist: 23.2” Hips: 34.6” Model wears a size 4. Made in Madagascar.